Today, I can feel the Halloween season; at the office we're already preparing for an amazing costume party with the touch of Disney characters and while searching for a stunning outfit, I encountered a photo of the oldest cemeteries in the Philippines - the reason why I am now posting these photos taken at Nagcarlan Underground Cemetery, in 2014. In other parts of the Philippines, their burial sites are hanging (Ifugao), in the cave (Palawan) and concrete crypt (in modern era), this burial site is unique because of its architectural design and purpose. The chapel and the underground graveyard of Nagcarlan Underground Cemetery gave a huge impact in Philippine history. It was used as the secret meeting place of the Filipino revolutionary armies, Katipuneros and other members of the KKK. 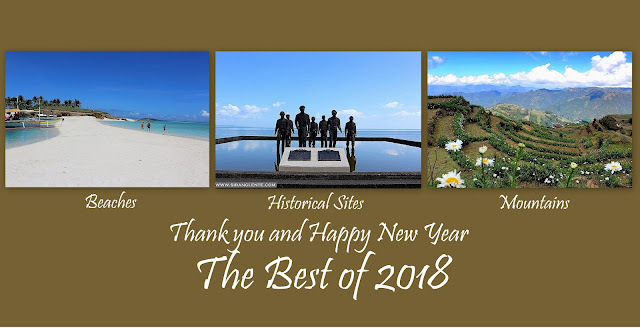 It was also served as the shelter of the Filipino patriots during the Filipino-American War and Filipino guerellas during World War II, same as with Paco Park and Cemetery in Manila. Nagcarlan Underground Cemetery is considered as National Historical Landmark located in Nagcarlan, Laguna. It is a burial site which is 15 meters below a small chapel; a chapel which was designed for funeral masses in 1845 by Franciscan Priests lead by Fr. Vicente Velloc. More photos and itinerary, click here.